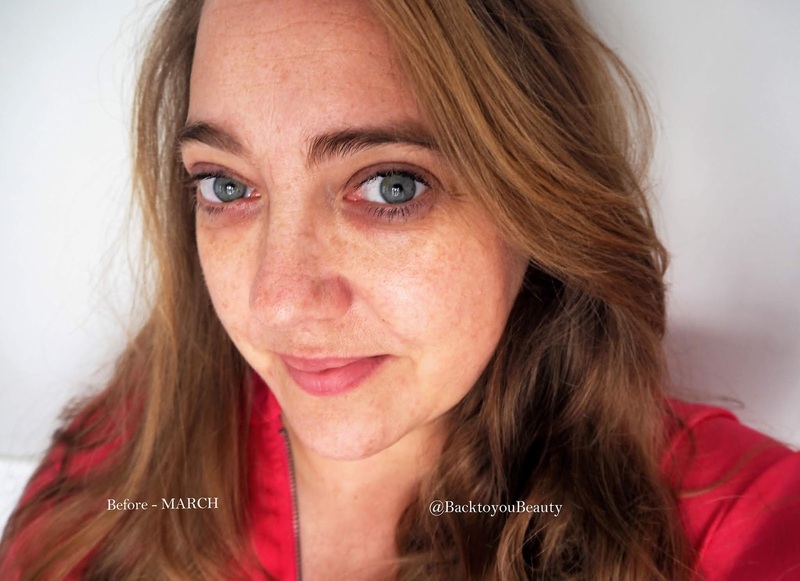 Having been lucky enough to try hundreds and hundreds of skincare products over the years, thanks to my job, it takes something really, really special to knock me off my feet. 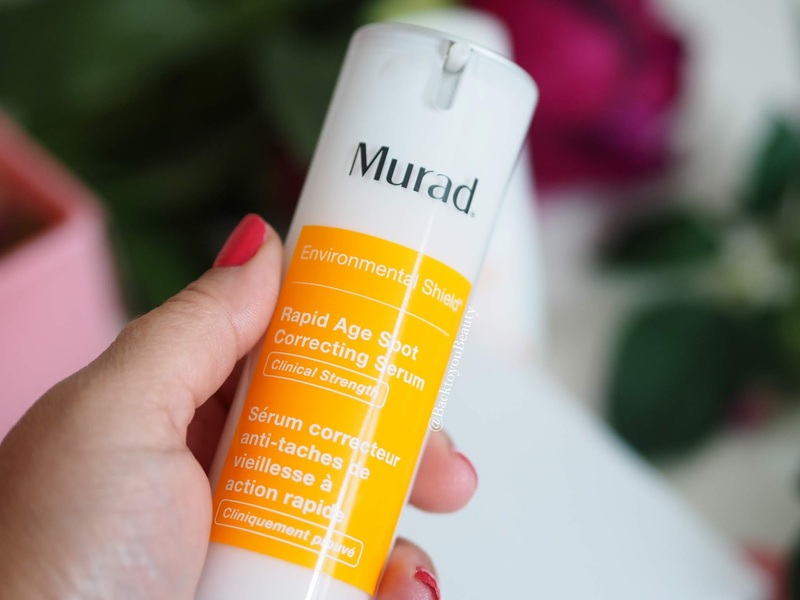 The Rapid Age Spot Correcting Serum from Murad is absolutely one of them. Back in March i was lucky enough to be invited to the press launch of this new product and whereas i would usually write about a product straight away, as a first impression, having heard all about the clinical trials and results, i knew i had to use this product for a lengthy time first, so that i could share my honest opinions in a tried and tested review. 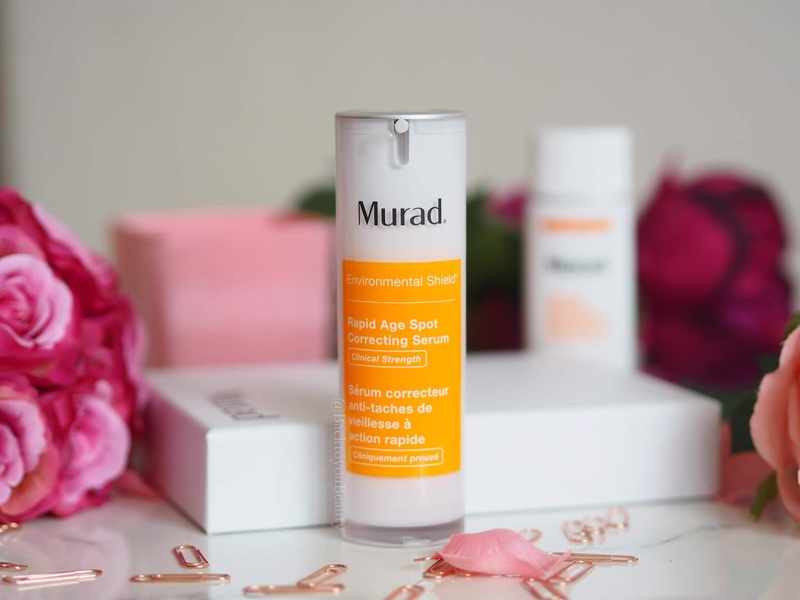 Part of Murads Enviromental Shield range which you can read all about HERE, is this Serum which is clinically proven to reduce the appearance of age spots, dark spots and hyperpigmentation in as little as one week. Whilst at the event i was able to have a very lengthy and incredibly enjoyable conversation with Kristen the Senior Director of New Product Development at Murad. Having just flown in from America, she was understandably jet lagged but her enthusiasm for skincare and this product in particular was highly contagious. Propietary NHP-3 technology, a blend of three powerful ingredients – Niacinamide, Hexylresorcinol and Plankton Extract, is proven to even skin tone and help with the signs of ageing. Whilst Vitamin C and pearl light reflecting particles have a brightening effect on the skin immediately and more so over time. As someone that adores Murad Skincare as a Doctor led brand, i was so excited to try this product. I do suffer with Hyperpigmentation due to sun damage over twenty years ago. Back then sun protection just wasn’t a “Thing” and i am ashamed to say i always over indulged in the sun home and away and loved, loved, loved baking my skin. If only i knew then what i know now, i am constantly trying to hide and cover my pigmentation as it really changes my skin and whenever i get complimented on my skin, i find it hard to accept as every-time i look at it, i see pigmentation. Everyone has their “Thing” and this is mine. 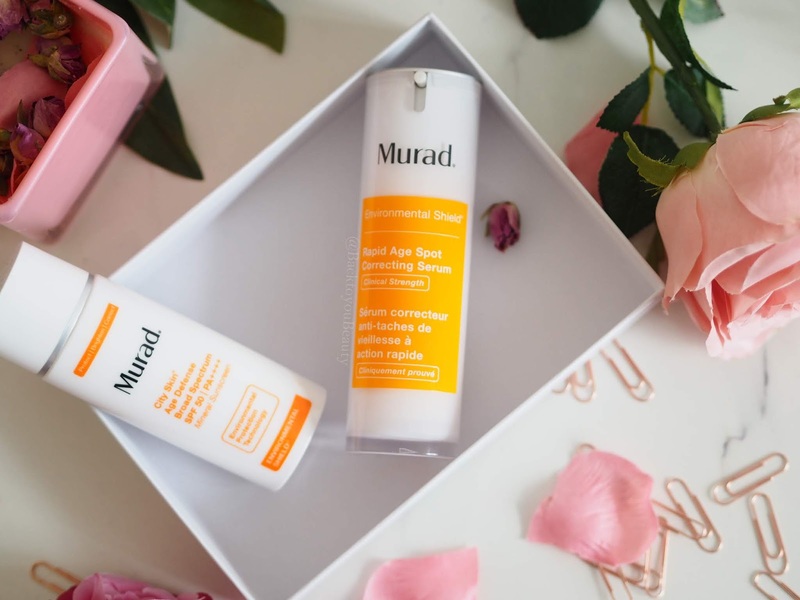 Murad products work beautifully on my skin, so i already knew i would enjoy the texture of this new product and as i use and love the other products from the Enviromental shield range, i had high hopes for this too. For use Am and PM after cleansing, this serum has the most beautiful slip factor, enabling it to glide effortlessly over the skin, whilst emitting a beautifully uplifting citrus scent and leaving the skin with a wonderful glow. Now, to be honest, i was not expecting to see results within a week although Murad claim that you will, i just thought that my skin would need a lot more work than that, but i was wrong. As someone that already uses acid toners on my skin to help with pigmentation, i thought it would take a lot longer to see results but within a week my skin definitely looked smoother and brighter. 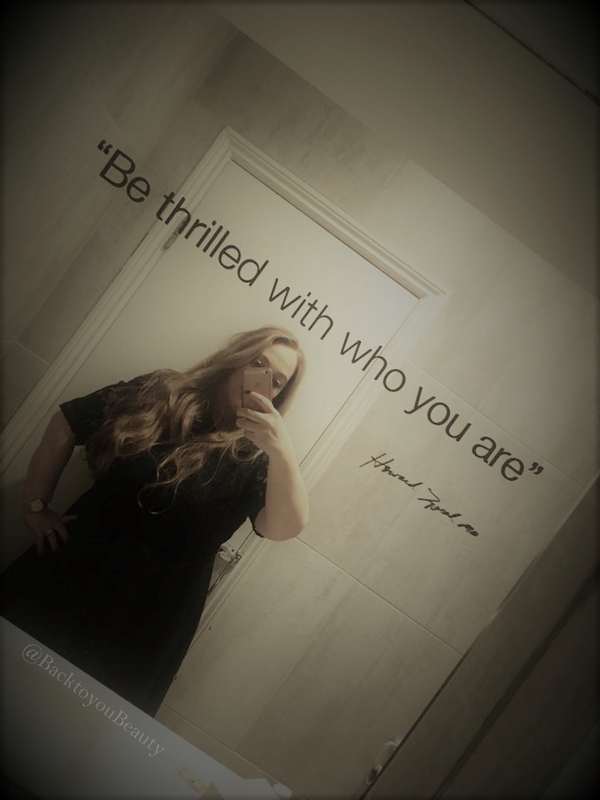 Over many, many weeks, the results i have achieved have been mind-blowing for me. My pigmentation appears to be fading and even though we have experienced some incredibly hot, sunny days, i kept on using it (when other brand product testing would allow) and now it has become a product i cannot be without. 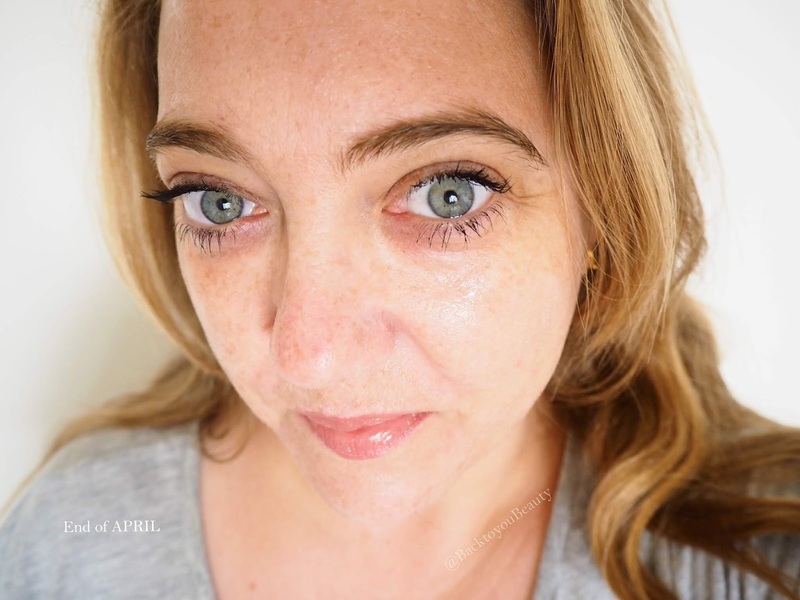 I absolutely love this product and the amazing effect it has had on my skin so far, i am actually quite overwhelmed by the results to be honest, though i know i need to concentrate more on my forehead and around the eyes. I know the price tag of this one is quite hefty at £70 per 30ml tube and i am not suggesting you all rush out and buy it, but i would suggest going to your local Murad Counter and talking to an expert about your skin issues and feeling the product on your skin to see if this is the correct product for you. I am in absolutely no shadow of a doubt that this has and is working wonders on my skin, and i think for me it will be a product that i will use as a treatment throughout the summer months to help combat further sun damage, along with sun cream obviously. For me this has become an absolute must have product and i am thrilled that i was able to test it out. Have you tried any Murad products? Do you suffer from pigmentation? Will you be trying this? I love hearing from you so do leave me a comment below. "Laura Geller Launches Dewdreamer Illuminating drops – it’s glow time!" 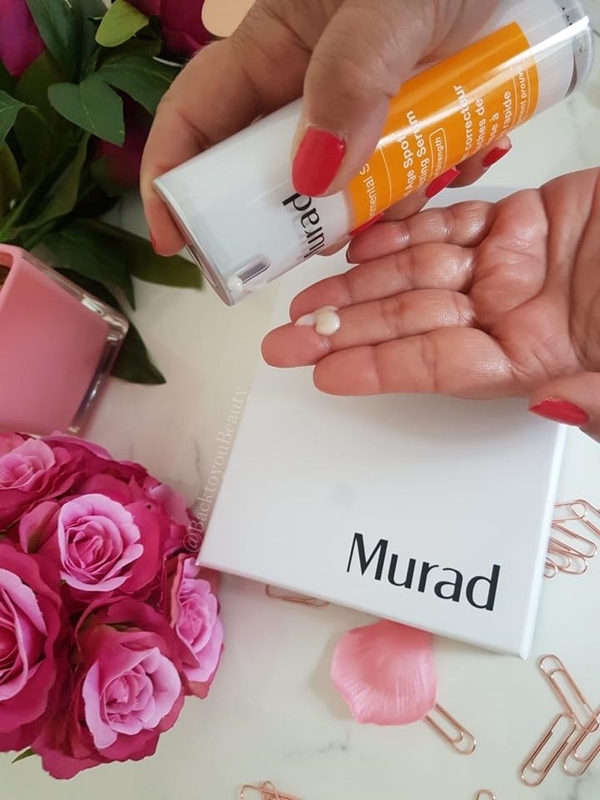 I have heard such great things about Murad, and have a few samples I should try. This product sounds so good! This is an amazing review. Im always half skeptical when it comes to pigmentation improving creams, but after reading your article and seeing the physical results i 100% want to try this for myself. Thank you very much. Wow, the results are amazing. This isn't an issue my skin suffers from but this looks like a very effective treatment for those who do.